OLD PARKED CARS. : Our 2000th OPC! 1980 Citroën 2CV6 Hoffmann. Our 2000th OPC! 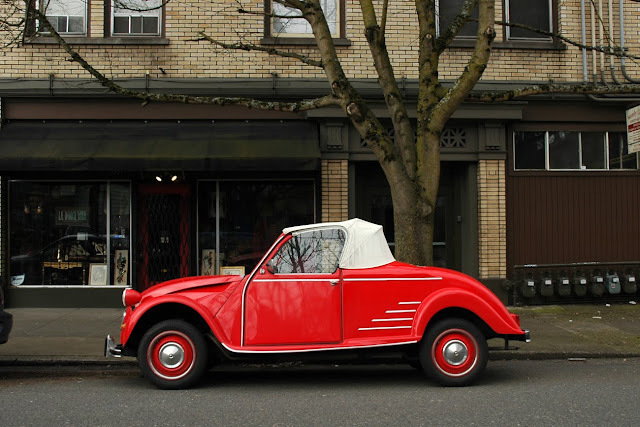 1980 Citroën 2CV6 Hoffmann. nice choice for car #2000, bean-ball. as if the 2cv wasn't a tin can instant deathrap already--let's remove even more metal! 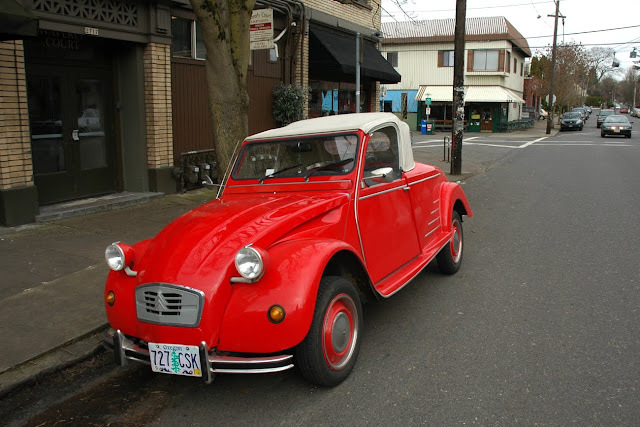 i really do want a 2cv, and i do plan to own and drive one, but no thanks on the convertible. what a fantastically outlandish vehicle. thanks for the link, tyler! Wow! I don't understand it. I've been hunting for cars for over a year and haven't even discovered half that many! Great work! 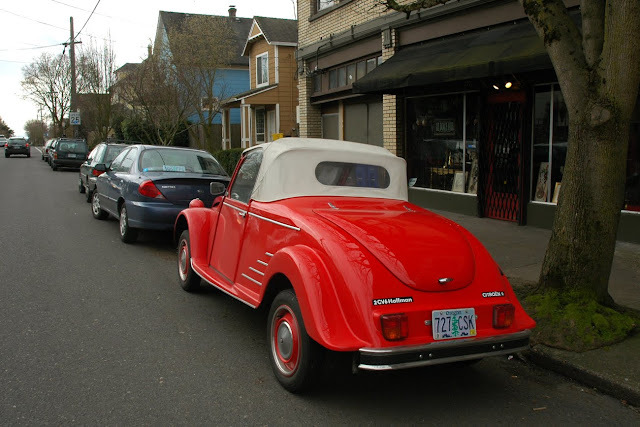 Congrats on the 2000th OPC, I remember when this was posted on Cars Of Bridgetown. When I look at a car like this I really wonder why the French never ruled the world.